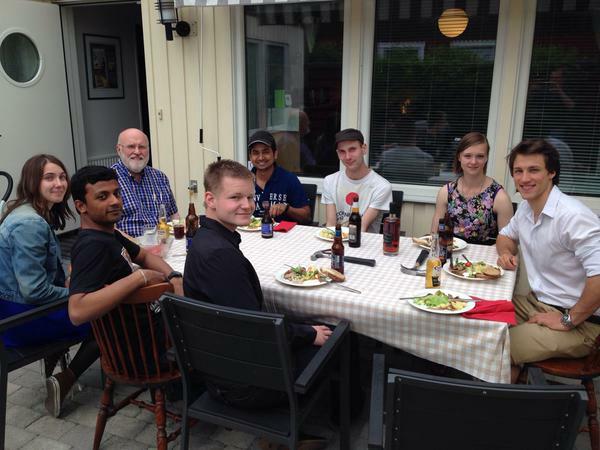 Party at the Project Manager’s house on 13 June 2015. From the left: Rebecca, Sharan, Sven (project manager), Andreas, Manish, Gábor, Agnes, Vincent. Astronaut Christer Fuglesang took the picture. For one evening, the weather was warm enough to eat outside!